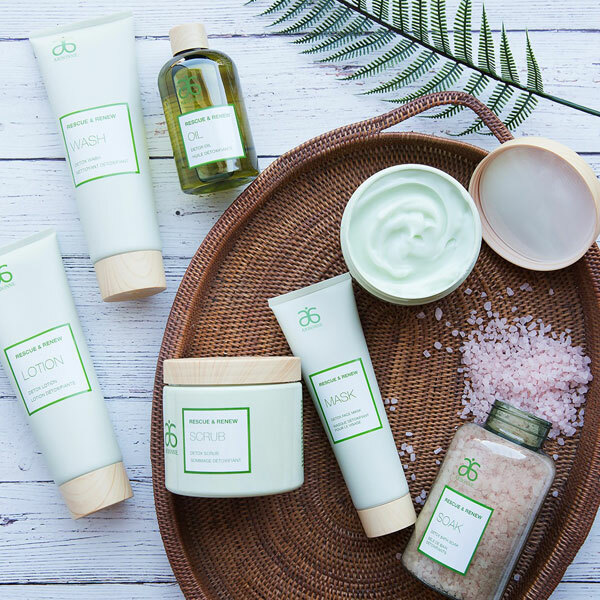 Formulated with botanical ingredients, the Rescue & Renew collection has been created to help you realign with nature’s best offerings to detoxify and de-stress, restore and renew the skin. Pure essential oils like grapefruit, lavender and juniper berry will transport you to a luxurious spa and soothe your sense of mind, body and soul. The products in this collection help support skin detoxification through the elimination of surface impurities and cleansing of the skin. The Detox Soak, Face Mask, Scrub, Wash, Oil, Lotion and Gelée infuse the skin’s moisture with hydration and replenish it with botanical extracts, oils and minerals, causing you to emerge with glowing, healthy-looking, velvety-soft skin. 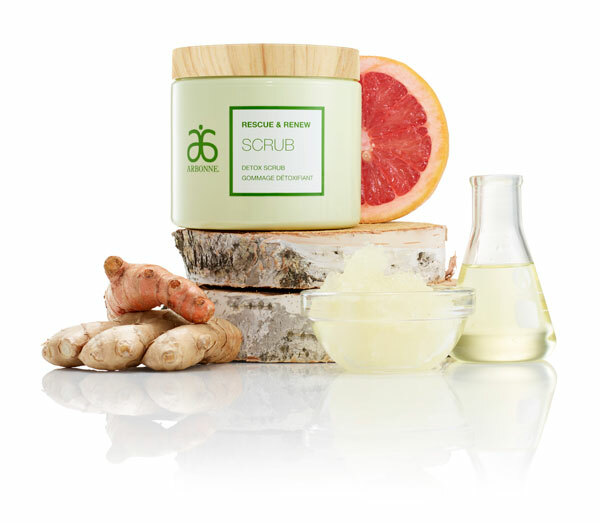 Can be purchased from www.arbonne.com.